Furthering our dedication to be the leader of Decentralized Artificial Intelligence development, we are pleased to announce that this April The Effect Network will be migrating to the EOS Blockchain, a leading blockchain platform. This will provide us with what we feel are the best tools and platform to build, deploy, and run The Effect Network. When our team first discussed the requirements for The Effect Network, it quickly became apparent that we require a blockchain that is scalable, secure, and stable. At the time we made the decision to build on the NEO blockchain, as we felt it had a huge potential to become one of the best blockchains out there. The major compelling technical reasons were: free transactions for end users, high transaction throughput, and multiple programming languages for smart contracts. However, in reality, things turned out differently and the current state of NEO is not up to speed with what we need to be able to build out our Network. NEO’s free transaction system for end users turned out not to be viable as they coped with multiple malicious spam attacks, the current state of the blockchain has a limited transaction throughput, and the smart contract compilers, besides C#, are quite immature. As the building and development of these blockchain protocols and systems are still in their infancy and growing pains will surely continue in the years to come, we found that the technology and the direction of NEO was not going to match the ambitions of this team and project. Over the last few months our core members explored many blockchain projects that have arose over the years in order to find a more suitable alternative. We dove deep into protocols like Ethereum, Komodo, Tezos, and a handful of others. 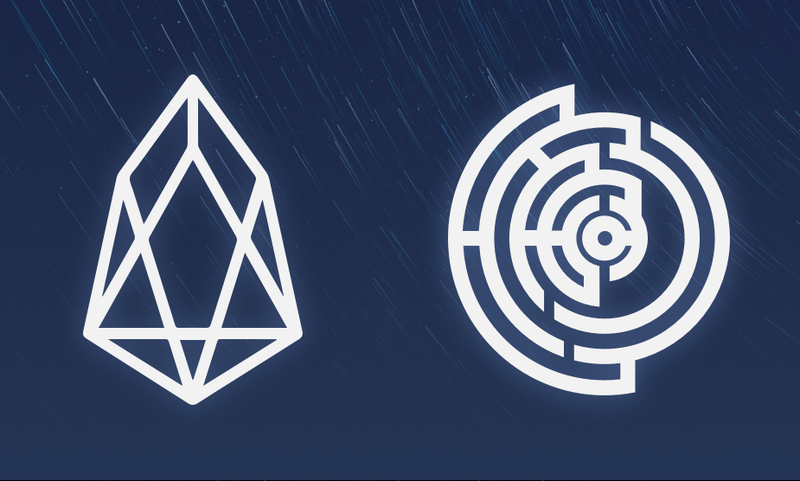 There were several advantages and disadvantages to each of these protocols, but there was one that stood out above the rest: EOS. We found that EOS encompassed the most features and scalability options, which we know are essential to build a good foundation for the future of our development efforts. Simply put: EOS is scalable, easy to iterate upon, fast, technologically advanced, secure, has high TPS, and has a great community and ecosystem. After thoroughly exploring EOS, we reached out to some members of the EOS community to learn more. 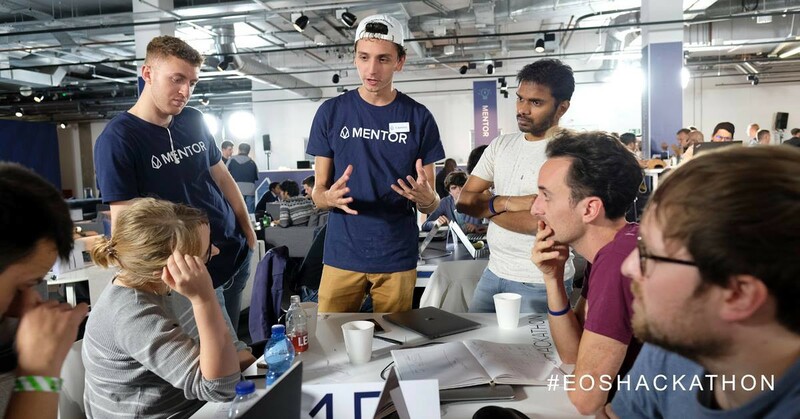 We were invited to the EOS London Hackathon; not only to be there, but to participate as mentors. We gladly accepted. We discovered that along with the incredible technological advantages, the EOS community was as, if not more, inspiring and passionate than the technology itself. We were so inspired and motivated to be a part of the event that our CEO Chris’ passion and encouragement ended up winning him the “MVM” Most Valuable Mentor award of the hackathon. Ever since the London hackathon we have been in close contact with Block.one and valuable contributors from the EOS community to facilitate the move to EOS. So, with the support of Block.one and the EOS community, we aim to perform a migration of our EFX token to EOS by the end of April and start building the most important elements of The Effect Network on EOSIO technology. We’re really excited to introduce the EOS community to our project and show them what we are made of. We will provide more content about the migration and the token swap, together with some detailed tutorials, as the date of the migration draws closer. EFFECT.AI is developing a Decentralized Network for Artificial Intelligence and AI related services on the blockchain. EFFECT.AI’s main objective is to build a decentralized Network that will stimulate AI development and the creation of various AI services. The Network will be more democratic, accessible and easy to use than what is currently available. Effect Force offers a unique solution, using a Global Human Workforce, to help companies sort, structure and enrich vast quantities of data, preparing the data for use in their own Machine Learning Solutions, enabling the use of Artificial Intelligence for all types of data analytics. It also allows for companies to outsource large amounts of work to a reliable and accurate workforce. Fair payment, attractive rates and improved accuracy give Effect Force its edge over the competition. The second phase is the creation of the Effect Smart Market, a decentralized marketplace that will further empower developers by allowing them to collaborate with others and to trade their algorithms and DApps on a fully Decentralized Network. The third phase ties it all together by using the blockchain to distribute the processing power needed to run the newly created algorithms over a global network providing an alternative that is more reliable and scalable than traditional server farms. Effect.AI is an Amsterdam based company that is working on a blockchain-powered, decentralized platform for Artificial Intelligence development and AI related services.